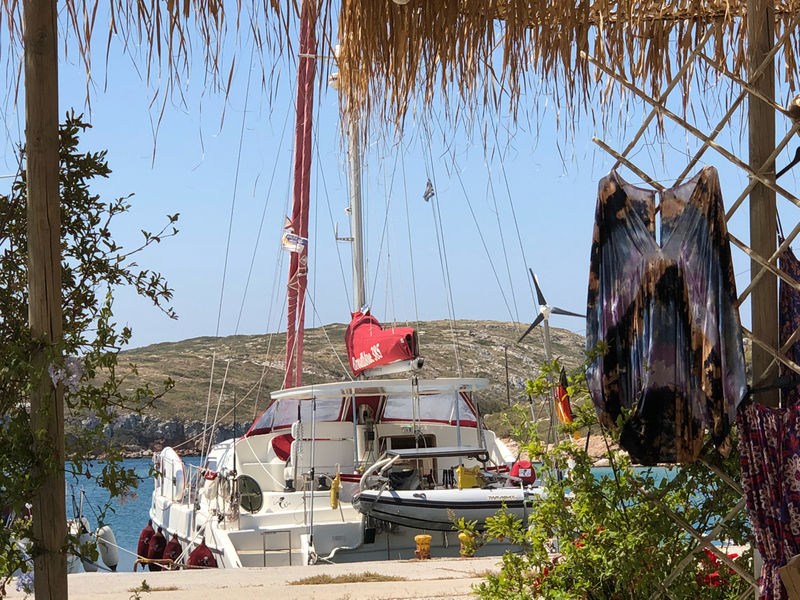 While I was already enjoying my Ouzo in the Taverna Aphrodite just behind Lady Soul a charter crew of 7 guys tried to moore next to us. I told them, that there is not really enough room for them and to at least turn of their port propeller. But as they did not listen they managed to get the lazy line of the adjacent fishing boat in their prop. Finally we pulled them in by manpower. Now they discuss how to get off the boat. Harbour movie at it’s best. 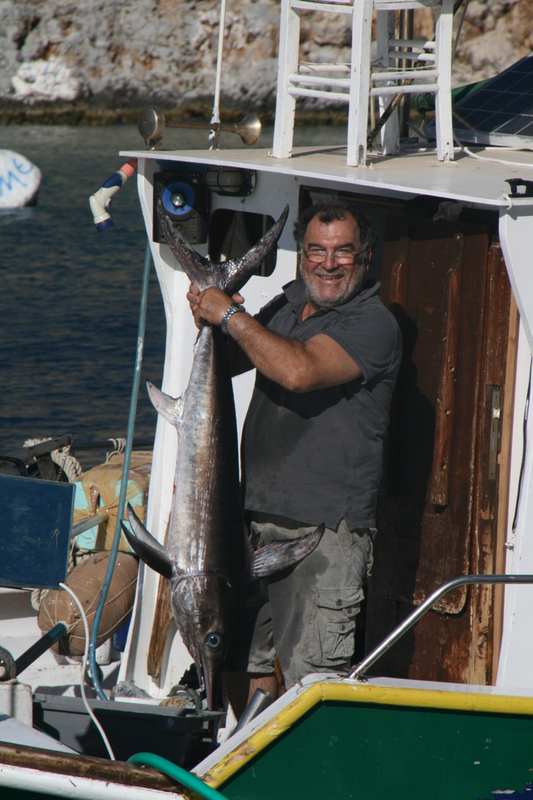 This morning my friend Kostas came back to Palionissos from his early morning fishing trip with a great catch! After a period of stronger winds we are sailing again. Together with my dutch friend Karel we are on our way back to Kos with a stop in Palionissos. As we are 2 boats we have the great chance to make lots of pictures under sail of each other. Let's see who will be faster and reach Palionissos first. 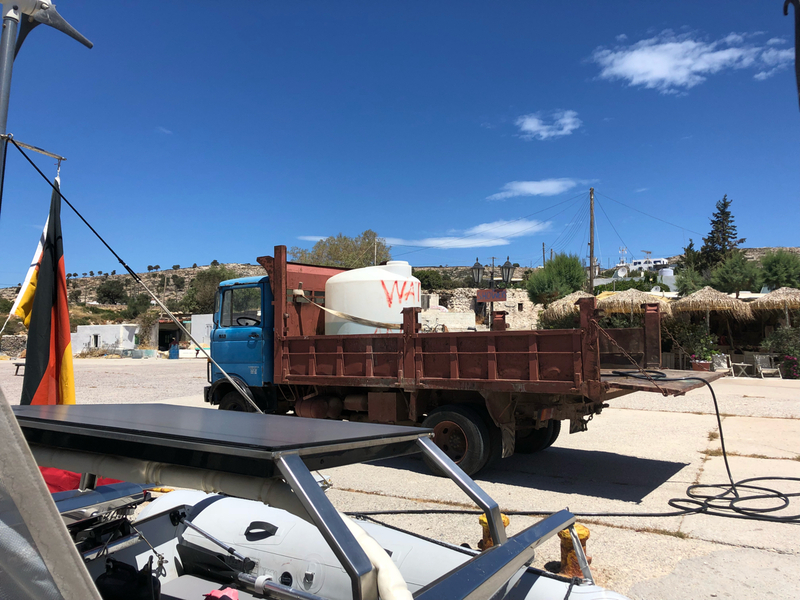 Before we will leave tomorrow from Arki after one week of strong winds, we get our water tank filled up a little to have anough until Monday, when we will get back to Kos marina. The delivery is by an ancient truck with a barrel of water which is produced by their desalination plant as the island does not have natural resources. 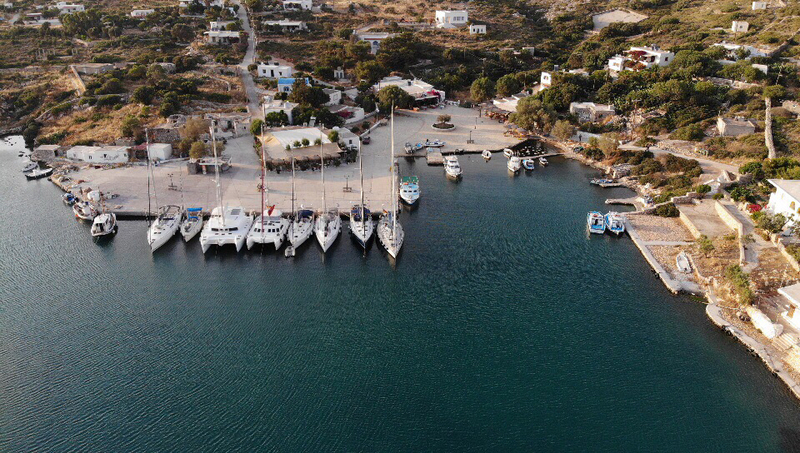 This is a nice shot of the small harbour of Arki. Today I arrived at one of my favorite places: Porto Augusta on Arki. We will spend at least 2 nights to enjoy the lovely tavernas here. Today it feels like 33 degrees in Kos Marina. 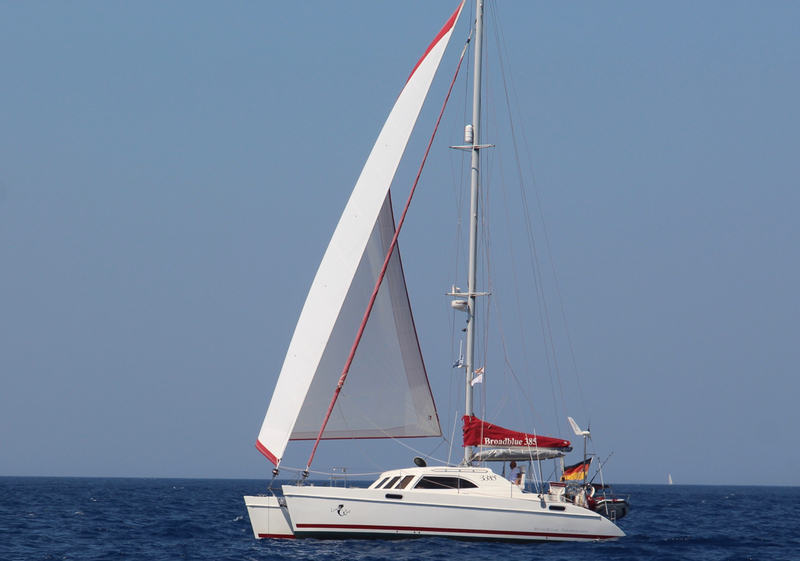 Therefore I decided spontaneously to sail to Palionissos as the wind turned to SE, which will get me there easily. As I am singlehanded underway, there is no chance of getting the Parasailor out. 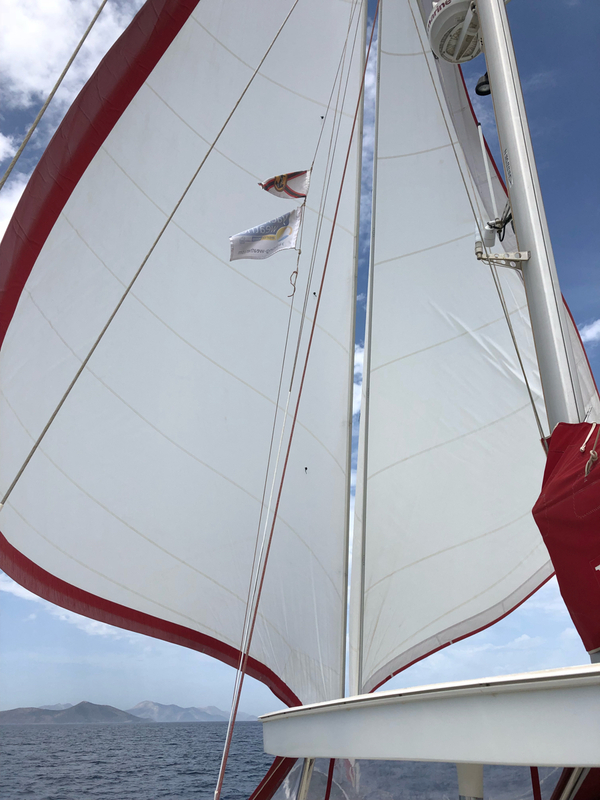 So it's been a nice opportunity to challenge my autopilot to keep course with a butterfly sail setup. 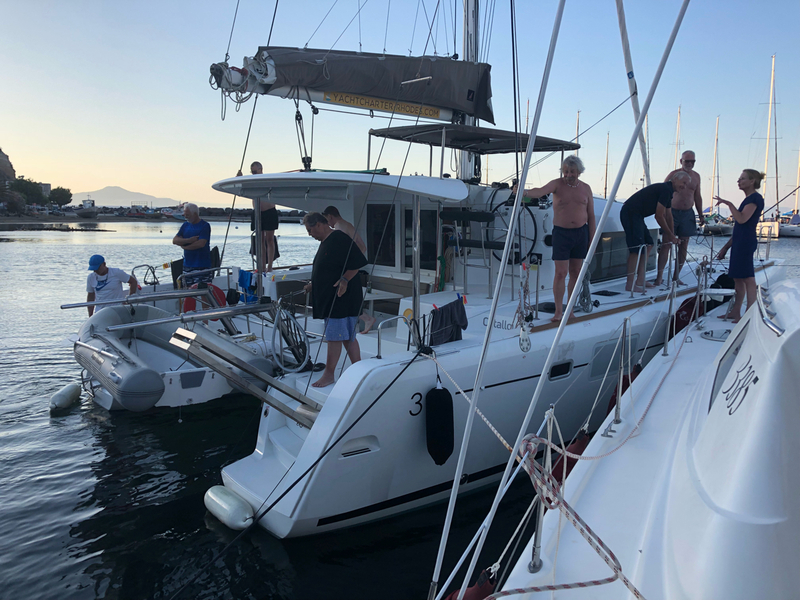 Tomorrow afternoon it looks like the wind will change back to north, so it should be a nice sail back to Kos to be there on time to pick up Claudia from the airport.